If you have a question and would like to contact us, please go to our online support by click below button. Keep up on our always evolving product, feature and technology. Enter your e-mail and subscribe to our newsletter. © Copyrights ALPSeRetails 2017. All rights reserved. The logistics involves planning, implementing and controlling efficient, effective flow and storage of goods and services from the beginning point of external origin to the company and from the company to the point of consumption for the purpose of conforming to customer requirements. Logistics is generally viewed as within one company, although it manages flow between company and its suppliers and customers. Supply chain management includes logistics flows, the customer order management and production processes and information flows necessary to monitor all activities at the supply chain nodes. Material management is a scientific technique, concerned with Planning, Organizing &Control of flow of materials, from their initial purchase to destination. Inventory management involves a retailer seeking to acquire and maintain a proper merchandise assortment while ordering, shipping, handling, and related costs are kept in check. 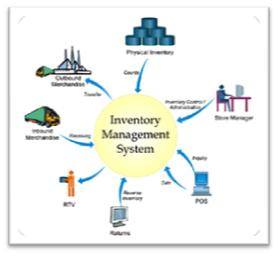 It also involves systems and processes that identify inventory requirements, set targets, provide replenishment techniques, report actual and projected inventory status and handle all functions related to the tracking and management of material. This would include the monitoring of material moved into and out of stockroom locations and the reconciling of the inventory balances. In retail business POS billing is one of the important factor to make the customer satisfy and happy. Connectivity is one of the major challenge in operation of POS and it’s data reconciliation with the central server. The customers spends more time in store selecting items but when it comes to billing – they need it fast i.e. No waiting time for billing and payment.High labor turnover and relatively low computer literacy is common in retail industry, so it is critical that your POS system requires little training to operate. Taxation part is also a major challenge in retail business as the taxation on various goods and items based on commodity of products and it needs to be managed within the system in such a way that the billing and tat related statutory requirement could be met. Comply with the Tax-regulations as per Indian Taxation Act. Advanced Tax Module, complex tax rules / regulations. 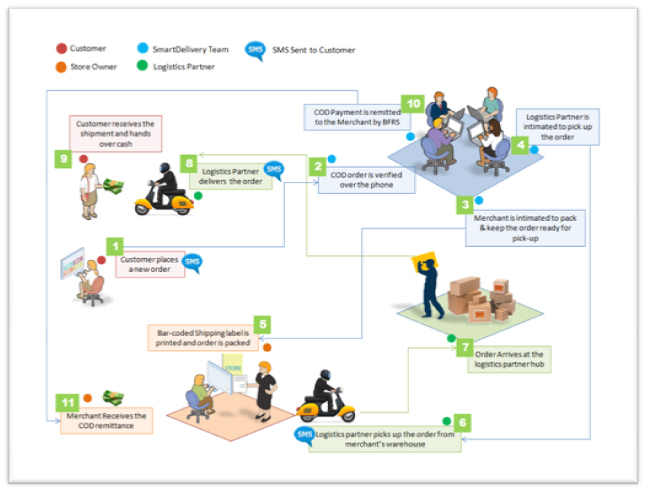 Dispatch and Delivery of Goods and services are an important part of the overall supply chain process. It becomes more important and critical when it comes to e-commerce portal activity where the customer order booking needs to be taken care of through entire life cycle of supply chain i.e. from booking of order to the delivery of goods/ services at the door step of end customer. It involves many functions in between the order booking and delivery like order management, vendor management, logistics, order mapping with vendor, shipment tracking and final delivery including the entry of delivery note in the system for the closure of a particular order ID.